Hey, let's try out something new! Yes, I know, that's obviously not new. I've showed you my signs HERE, and HERE, and HERE, and finally HERE. But this one was just too cute to not share with you guys. Knew you people were awesome like that!! But do hang in there, I promise we will get to the new part. I made it for one of my bestest friends in the whole wide world, the day before her shower. I used the same technique as I did for my Bacon sign, painters canvas and all. I finally used a bit of real vinyl instead of just contact paper. The pink lettering is vinyl, the rest is all paint. And here's my beautiful friend Crystal. She just celebrated her first Mother's Day with TWO baby girls... nope, they aren't twins, just 11 months apart. She's an amazing Mom even though I'm sure she's long since forgotten what sleeping more than 3 hours feels like! I'm praying for ya girl!! If any of you would like to make or print this sign yourself, you're in luck. I'm sharing two free downloads with you today. One to print, one to cut. And if you'd like to have the .studio file to cut this with your Silhouette, click the link below. This is my first time using this download tool, so if you have any problems with it, please oh please, let me know! Wow...what a bad sis I am. I'm just getting around to reading your posts. Sooo cute. I downloaded it in the studio version. Yikes! I'm so behind, can't believe I'm just now seeing this post Jeannine! 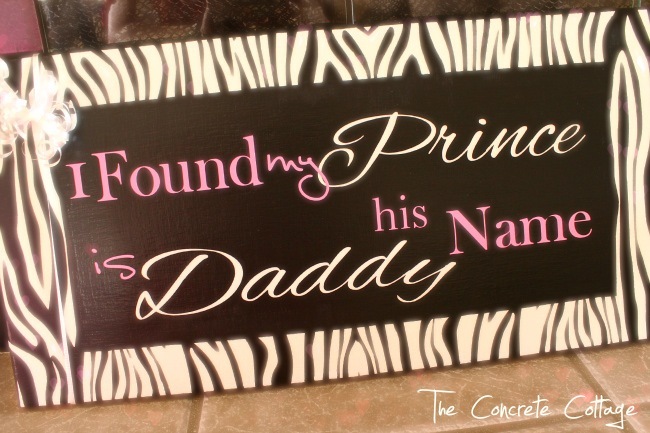 How appropriate though, it would be awesome for Father's Day too! 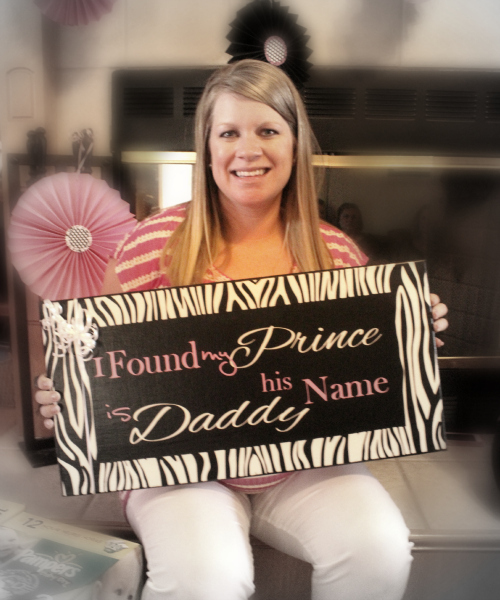 Love the zebra print around the edges, and the pink lettering. You are the sign queen! :) Hope you're having a great week.